Fabulous lake home on almost 3 ares of heavily wooded land. A private paradise only 20 minutes from downtown Columbia. 160 feet on Woodcreek Lake (formerly Coopers Pond) sitting in the midst of hardwood trees and peaceful tranquility. The house itself has been almost completely renovated with beautiful sunlit rooms, sky lights, Courtside counter tops, two brand new dishwashers, new refrigerator (which stays with the home), a media room, and much, much more. 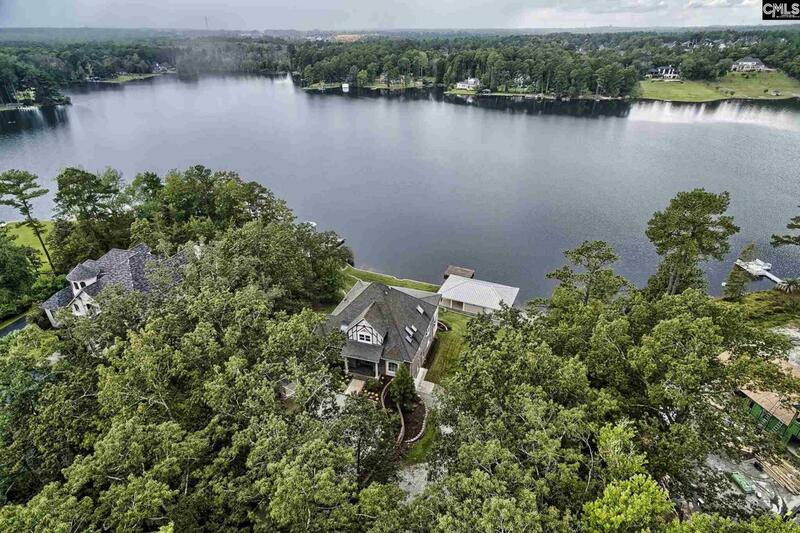 The home features a brand-new Inclinator Elevator, eight ceiling fans and two enormous water front porches with million-dollar views of the "big water" on the lake. Beautiful heavy molding, 3 car garages, exercise room, private office, high ceilings and new floor coverings throughout make this one of the Midland's most desirable properties in today's market place.